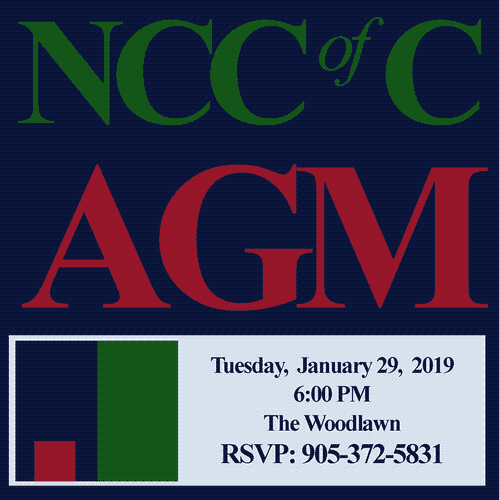 On Tuesday, January 29th, the Northumberland Central Chamber of Commerce will be hosting its 111th Annual General Meeting of the Membership. All members in good standing are invited to attend this important meeting and hear an overview of the Chamber’s activities for the past year, including presentation of the Chamber’s audited year-end financial report. The 2019 Executive will be introduced, and elections will be held to fill the available seats on the Board of Directors. Immediately following the AGM, the Executive invites guests to join them for “The Chair’s Dinner” – an elegant four Course meal with carefully chosen wines to accompany each dish!